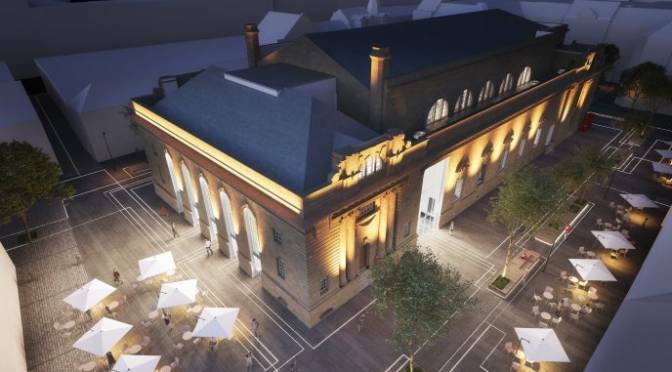 On Wednesday 16 August, Perth & Kinross Council will consider a report recommending the appointment of internationally renowned Mecanoo as the architectural firm to work on Perth City Hall. Mecanoo is behind other major cultural projects including Birmingham City Library, the HOME arts venue in Manchester, and the New York Public Library. It has a strong track record in reinvigorating historic buildings for the 21st century sympathetically and working collaboratively with local communities to develop its designs. The international design competition for the City Hall attracted global interest and over 70 initial expressions of interest. The 5 shortlisted designs were evaluated in detail by a panel with professional expertise in architecture, building construction, finance, museums and public realm. The process was carried out in partnership with the Royal Incorporation of Architects in Scotland (RIAS). The five design concepts were judged on how well they met the needs of visitors and delivered the requirements of a world class museum, affordability within the £20M budget, and sensitivity towards the wider historic area surrounding City Hall. A public engagement exercise received over 800 comments from local communities and cultural organisations, local businesses and others. Public support was in favour of Austin-Smith: Lord/ MVRDV and Mecanoo, with Mecanoo receiving the greatest number of positive responses from local people and businesses. Leader of the Council, Councillor Ian Campbell, said, “This has been a thorough, professional process. The final decision will be for Councillors to make next week, but I’d like to thank all members of the public, local businesses and cultural organisations who took the time to contribute their thoughts. What is clear is that there is a shared enthusiasm to see progress made with the City Hall and the level of public engagement throughout this process has been very pleasing to see. Once an architect has been appointed, detailed designs will be drawn up. Planning and listed building consent are expected to be applied for in 2018, with work scheduled to start on site in 2019.